Mateer Burt will exhibit the NEW FLEXLINE 60 label applicator at the upcoming PACK EXPO International 2000 --- November 5 –9, 2000, at McCormick Place, Chicago, IL USA. 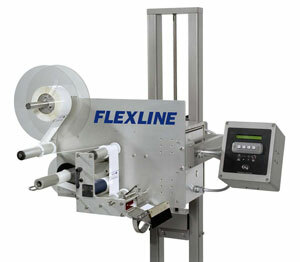 The FLEXLINE label applicator provides accurate label placement using a blow-on, tamp-on, or wipe-on application mode, and is capable of applying labels to top, bottom, side or front and side panels of most products. It's modular design makes it ideal for contract packagers and application of labels to short production runs. The machine features a stepper motor drive, simple LCD control panel, gimbaled mounting frame for easy positioning, and corrosion resistant components for most industrial environments. This technology will be demonstrated at PACK EXPO International 2000, Mateer Burt Booth #2241. Pneumatic Scale / Mateer Burt, 700 Pennsylvania Drive, Exton, PA 19341-1129. Tel: 610-321-1100; Fax: 610-321-1199.